Culture Stock - Art is everything. Culture Stock is a social venture that operates as a hub for cultural activities and community programs while serving as a used book and media reseller, offering a full line of books and media (music, movies, etc) for adults and children. The business is similarly modeled after an innovative successful social venture in Chicago, Open Books Ltd., by promoting literacy and culture in a community with limited venues for such activities, serving as the community's venue for: book talks, musical events, sidewalk sales, by promoting culture and literacy. 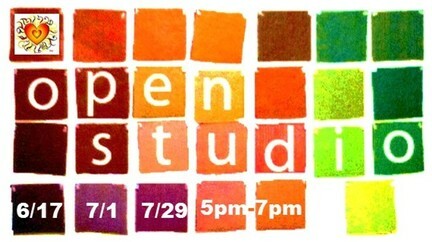 To register to attend Open Studio Art Making, click 'add to cart' below. To add multiple days or pay for more than one person, click 'continue shopping' and you will be redirected to this page.